The most appropriate starting point for a journey in George Washington’s footsteps begins at Mount Vernon, his plantation home on the banks of the Potomac River in Virginia. The estate was originally owned by Washington’s great grandfather John Washington in 1674. At the time, the house consisted of only seven rooms, four rooms and the central passage on the first floor and three bedrooms on the second floor. The estate was eventually passed down to Washington’s older half-brother, Lawrence Washington. 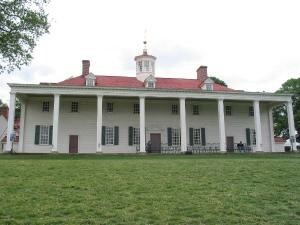 It was Lawrence who named the property Mount Vernon, after his commanding officer, Admiral Edward Vernon of the British navy. Upon the death of Lawrence in 1752, Washington assumed management of Mount Vernon, which he leased from Anna Washington. He ultimately inherited the property from Anna when she died in 1761. You’ll want to begin your journey by spending some time here. We found that you can easily spend a full day at Mount Vernon. The Potomac Riverboat Company (www.potomacriverboatco.com) offers tour boat transportation between the Old Town Alexandria waterfront and Mount Vernon. This scenic boat ride along the Potomac River offers visitors the unique opportunity to travel to Mount Vernon the same way many of George Washington’s guests did. Upon arriving at the plantation’s private beach, visitors are suddenly transported back to the eighteenth century. From the beach, a brick path leads uphill through a canopy of trees towards the mansion. As the path levels off, a clearing opens up to reveal George Washington’s tomb. It is a solemn red brick edifice flanked by smaller versions of the Washington monument. It is ironic that this tour begins where George Washington’s journey ends. Another great way to get to Mount Vernon is the Bike and Roll tour (www.bikeandrolldc.com). You can rent a bike in Old Town Alexandria and ride either one way or round trip to Mount Vernon along the Mount Vernon Trail. This scenic 10 mile trail takes riders through Dyke Marsh and Belle View Park. The canopy coverage and banks of the Potomac provide seclusion and a beautiful transition back in time to an early America, making the ride a wonderful way to approach the timeless feel of the Mount Vernon Estates. There are several guided walking tours visitors can take while at Mount Vernon. The tours offer a glimpse into the daily lives of the plantation’s many residents. From the mansion where Washington’s family lived and entertained guests, to the gardens where he grew miniature apples, seen are the many facets of Washington’s private life. The interpretive Enslaved People of Mount Vernon tour gives visitors an insight into the many contributions of slaves to Mount Vernon’s history and culture. On the Gardens & Groves tour, visitors will learn some of Washington’s agricultural secrets while observing extensive views of the beautiful countryside. 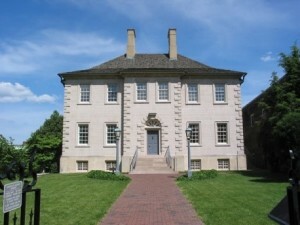 The Premium Mansion tour offers visitors the unique chance to tour the seldom seen third floor of the mansion, as well as discover personal facts about her life, such as her love of horse riding. While horse riding was unfamiliar to many eighteenth century women, Martha looked at it as a great form of exercise. The tour to begin with is the mansion tour, the house where it all began. A fairly new tour is the National Treasures tour, where you can go behind the scenes tour of the blockbuster movie “National Treasure: Book of Secrets.” For more information on hours and tours, visit www.mountvernon.org. Utilizing his surveying skills, Washington meticulously planned every detail of his estate. He enlarged the house to include 21 rooms, with a stunning two-story piazza overlooking the Potomac River that he designed himself. 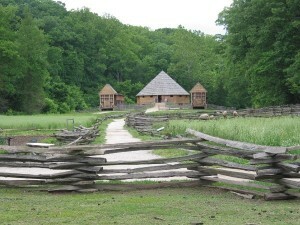 Behind the house, a curved walkway leads to a row of outbuildings where most of the daily chores of the plantation took place. Amongst the outbuildings are the kitchen where meals were prepared, the smokehouse where meats were cured, the wash house where laundry was washed and ironed, a coach house and a greenhouse. Washington also expanded the property from 2,000 acres to nearly 8,000 acres encompassing five working farms. This incorporated several gardens, including the upper garden with flowers, trees and some vegetable beds; a kitchen garden which supplied fresh produce to the kitchen; and a small botanical garden where Washington experimented with new seeds and plants. 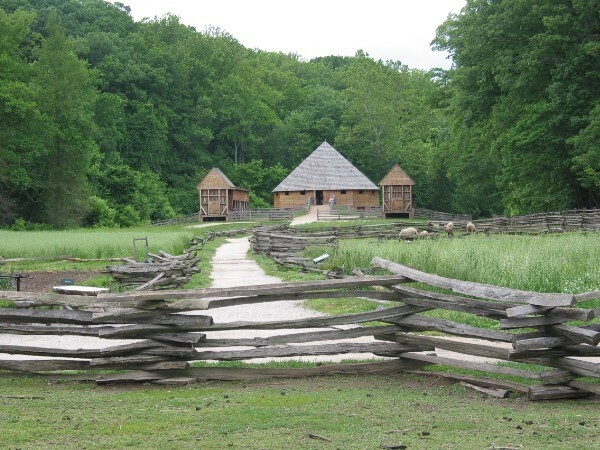 Washington was constantly tinkering with new agricultural methods to make his farm and estate as efficient and productive as possible. The idea was that the estate would be a self-contained community where nothing was purchased from the outside. Today the home has been restored to its appearance in 1799, reflecting the last year of George Washington’s life. Continuing in the footsteps of George Washington, our journey takes us to Old Town Alexandria. From his arrival in the town as a young surveyor until his birthnight ball at Gadsby’s Tavern, George Washington certainly left his mark on Alexandria. Washington’s involvement with Alexandria began during his late teenage years while he practiced surveying in various parts of Virginia. He prepared the plan of Alexandria in 1748 before the streets and lots were laid out. The town, which was formally established on July 13, 1749, consisted of eighty-four lots, most of which were one-half acre in size. Alexandria quickly became a bustling waterfront town with narrow streets closely lined with ground-hugging houses and shops. In the eighteenth century, ship captains and merchants built their mansions here, while local plantation owners like Washington sent their crops here to be sold. Alexandria was one of the country’s leading seaports where shipments of tobacco, wheat and other locally grown commodities were transported up the Atlantic to other colonies and Europe. You’ll want to begin your tour of Alexandria at the Ramsay house, named for William Ramsay, a town founder and respected friend of George Washington. It now serves as the visitor’s center where travel counselors are available to help guests with information on local activities. 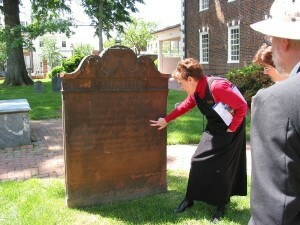 It is also the starting point for Alexandria’s historic walking tours. Your knowledgeable and energetic guides will lead you through a maze of cobbled streets, taking in the full glory of Alexandria’s architectural heritage, while giving a unique insight into its history. Along the way, you’ll pass structures like George Washington’s townhouse, Robert E. Lee’s boyhood home, the Carlyle House, Gadsby’s Tavern and the Old Apothecary Shop. A highlight of the tour is Christ Church. Shortly after strolling past Washington’s townhouse, which is now privately owned, the tour reaches Christ Church. It was the home church of prominent figures like Robert E. Lee and George Washington. After a brief rest in Washington’s pew, which is preserved to this day, the tour moves on to explore more of Alexandria’s vast history. The allure of an earlier time comes alive as the guide puts each structure into the perspective of Alexandria’s 250 plus years, from the roots with George Washington to the Civil War and beyond. In the 1760’s as Alexandria grew into a regional center, George Washington’s role in the town expanded. He launched his military operation in the French and Indian War from here, and attended meetings to plot America’s freedom from Great Britain prior to the Revolutionary War. Washington visited Alexandria so frequently that he built a townhouse on Cameron Street to avoid the hazards of traveling the eight miles back and forth from Alexandria to Mount Vernon. One of the places where he conducted meetings was Gadsby’s Tavern. In an age without restaurants, convention centers or auditoriums, taverns provided the functions of these and more. Above all, a tavern was a public house intended to be used by the public for a variety of activities and social gatherings. After Washington’s presidency, Gadsby’s Tavern held a Birthnight Ball in his honor which he attended in 1798 and 1799. Till this day, George Washington’s Birthnight Ball is held at Gadsby’s Tavern on President’s Day Weekend. In the tradition of the eighteenth century, Gadsby’s recreates several balls each year. The Birthnight Ball is a celebration of George Washington’s birthday and his contributions to our country, complete with toasts, a formal dinner, a historical program and Washington’s favorite eighteenth century dances. In addition to various events held throughout the year, Gadsby’s Tavern is open to the public for dining and tours. Visiting Alexandria’s historic sites has never been easier thanks to the Key to the City Pass. The pass offers admission to nearly all of Alexandria’s historic sites, a 40% discount to Mount Vernon and a 10% discount for museum store purchases. Sites included in the admission are: Gadsby’s Tavern Museum, George Washington National Masonic Memorial observation deck, Carlyle House Historic Park ,Stabler-Leadbeater Apothecary Museum, the Lyceum, Lee-Fendall House Museum and Garden, Alexandria Black History Museum and the Friendship Firehouse Museum. The pass, which is $15 does not have to be used in one day. For more information, visit www.visitalexandriava.com. While visiting Mount Vernon and Alexandria, George Washington’s presence seems to always be felt. It is difficult to turn a corner without seeing the impact of this great man. From his plantation home of Mount Vernon where he was a farmer and family man, to his hometown of Alexandria where he was a businessman, general and founding father, this is where one can trace the footsteps of George Washington. In the month of May, Mount Vernon holds the annual Wine Festival and Sunset Tour. Wine aficionados will enjoy an evening of superb wine, delightful food and live jazz on the lawn of Mount Vernon overlooking the Potomac River. Various Virginia wineries come together to celebrate the history of Virginia wine and George Washington’s attempts at winemaking. Guests will enjoy tours of the mansion throughout the evening where they will be treated to a special viewing of the mansion’s brick vaults where Washington stored his wine. This part of the mansion is not open for tours during any other time of the year. Historic interpreters will discuss Washington’s wish to create a productive vineyard at Mount Vernon and George Washington himself will complete the evening with a special appearance.